The guys are back and Carl is dealing with statements that he made on the debut episode of The 5th Line Podcast about what he would do for $1000. They also dive into the Stanley Cup Final thus far. – Is Pekka Rinne any good? 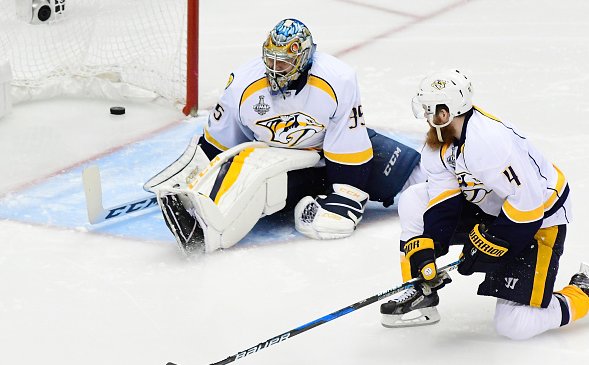 Which Pekka Rinne is for real? Is he regressing to the mean? What even is regressing to the mean? Is mean regression a thing? – The Penguins won the first 2 games in the series. Does this mean that they have all of the momentum? Is momentum a thing? – Jake Guentzel has 5 game winning goals so far in the playoffs. Does this make him the Conn Smythe favorite? – Offside reviews are causing all kinds of confusion. How can it be fixed? – What lengths should one go to to smuggle a catfish into a hockey game? – PK Subban guaranteed a win in Game 3. Are we okay with this? – Kyle Dubas is staying in Toronto. Is this good for the Toronto front office situation?